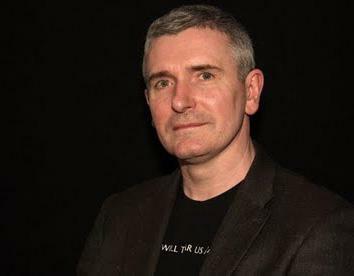 Mike Carey’s zombie novel The Girl With All the Gifts, reviewed. The Girl With All the Gifts, a zombie novel of ideas. Most zombie stories follow the same formula: Brawny dudes use guns and makeshift weapons to protect nerds, women, and children from the ravenous dead and from other survivors. Yawn. M.R. Carey’s The Girl With All the Gifts is a terrifying zombie novel, but not in the expected way. The real enemy here isn’t the walking dead or even the crafty parasite that rules them. It’s evolution. The Girl With All the Gifts opens in Britain about a decade after a zombie apocalypse left small numbers of humans hiding from the undead. Lots of walking-dead stories in recent years have offered a biological explanation for the plague—for instance, 28 Days Later or Brad Pitt’s big-screen adaptation of World War Z, whose pandemic story line felt tacked on—but the science often takes a back seat to the flesh-eating. Carey switches the formula, spending much more time on the infection and humanity’s attempts to conquer it than on bloodbaths. The result is a story that makes your brain feel at least a little nibbled on. The book’s monsters are steered by a mutant version of the fungus Ophiocordyceps unilateralis—which you may know as the parasite behind “zombie ants.” As the novel explains, an infected ant is hijacked and forced to “climb to the highest place it can reach—to a leaf fifty feet or more above the forest floor.” From there, the fungus bursts forth from the poor ant’s head in the form of a sporangium that allows “thousands of spores” to “spread for miles,” with the help of the wind. Let that penetrate your innocent, free-willed mind. This actual fungus cements the ant to a plant. Its sporangium grows inside, and then explodes out of, the insect’s head. Carey imagines the species-climbing Ophiocordyceps spilling over from infecting ants to humans. (In a nice touch, scientists in The Girl With All the Gifts screen a horrifying David Attenborough–narrated segment from Planet Earth to explain the cause of the zombie apocalypse to the laity.) For most of the infected, this means a pretty normal, albeit more scientific-sounding, zombiedom: the staggering, the biting, the quick infection turning a normal human into a cannibalistic shell. In Britain, at least, most of the remaining humans huddle in a fortified zone, where they are safe from the saliva-transmitted infection. They also don’t have to see the particularly gross zombies that, after infection takes hold, have fungus burst from their bodies. Pretty standard horror stuff. But then something odd(er) happens. Military excursions into zombie-infested turf begin finding normal-looking children who can speak, learn, and think, but are nevertheless infected with Ophiocordyceps. Rounded up into a lockdown boarding school, the infected kids live in individual cells, leaving only for weekly shower-and-grub sessions (and yes, those are literal grubs), and for class, where they are strapped and locked into chairs. It is there that we meet Melanie, the girl with all the gifts, who excels in the classroom and who has a macabre sense of humor: When two handlers come to load her into a chair—one points a gun at her while the other secures her—she jokes, “Don’t worry, I won’t bite.” They don’t laugh, because a single whiff of human is all it takes to whip the gentle-seeming girl into a feeding frenzy that she cannot control. But bright, eager Melanie, who doesn’t quite understand the nature of her disease, is incapable of turning bitter; the highlight of her life is Helen Justineau, the kindest of the rotating cast of teachers whose job it is to see how much they can teach these sort-of humans. It’s like Roald Dahl’s Matilda but with zombies: A teacher bonds with a precocious, cheerful child with amazing abilities who hasn’t been soured by the cruelty of her circumstances. Caldwell is motivated by her desire to save humanity, of course. But there’s also a chip on her shoulder: During the start of the Breakdown, as it’s called, the country’s top scientists were sent out into infected zones in two buses kitted out with the latest in protective technology. Humanity’s hopes went with them on their field-research journey. (This is one spot where Carey chooses plot over logic. Why send all of your best men and women out into the horde?) Caldwell just missed the cut—meaning that she was the top scientist left when both vehicles vanished. When the military complex where Caldwell, Miss Justineau, and Melanie all live is compromised—right before Melanie’s about to lose her brain to science—the three, along with a couple of military men, must band together (with heaps of suspicion on all sides) to try to find their way to another outpost of humanity. And along the way, they discover just how clever Ophiocordyceps really is—and how long the game is it’s really playing. I don’t want to spoil anything here, but suffice it to say that the zombies are a means, not an end. You should ask yourself … why you’re so keen on thinking of me as the enemy. If I make a vaccine, it might cure people like Melanie, who already have a partial immunity to Ophiocordyceps. It would certainly prevent thousands upon thousands of other children from ending up the way she has. Which weighs the most, Helen? Which will do the most good in the end? Your compassion, or my commitment to my work? Or could it be that you shout at me and disrespect me to stop yourself from having to ask questions like that? The Girl With All the Gifts is crossover horror at its best: a book that can appeal to readers like me who are interested in the altered social dynamics of a collapsed society, but who are inclined to skim over lengthy descriptions of dull, gory battles. (This is a lazy reading practice that, on more than one occasion, has left me confused, only to realize that I missed the death of a main character.) There’s bloodshed and some battle, sure, but they take a back seat to mind-bending questions of research ethics in the midst of crisis, the clash of pragmatism and humanity, and the idea of individual free will. It’s a welcome shift from the focus of many zombie stories. While the cinematic World War Z, 28 Days Later, and even The Walking Dead (remember the brief visit to the CDC?) offer glosses of science and lip service about ethics, their primary attraction is action. As is often the case with action storytelling, the moral conundrums in these tales are straightforward, dull—there’s almost always a clear right and wrong. Carey’s complicated novel, however, makes it impossible to pick a side: Caldwell or Justineau? Melanie or humanity? Is Caldwell’s quest for answers truly scientifically pure, or is it just another example of an animal’s innate drive to protect itself from extinction? The Girl With All the Gifts turns eating brains from the usual empty-calorie snack into a full, complex, palate-challenging meal. The Girl With All the Gifts by M.R. Carey. Orbit.